What Does Remorse Look Like? 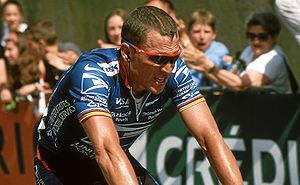 I have been watching the Lance Armstrong saga with interest; clearly his life has changed forever, due to his own machinations. We all make mistakes; some of us get caught, others don’t, but clearly, “all have sinned and fallen short of the glory of God.” We sink into valleys of our own making, and then begin the arduous task of climbing out, swatting away human flies that thrive on our beads of agonized sweat and ducking from vultures who seek to eat at our very souls when we are down. I have always been interested in what real remorse looks like to those who are looking for it. If a person cries, in court or any other venue, those who are ready to pick at a bleeding sore will often say that the tears are phony, orchestrated in order to garner sympathy. So, someone tell me, “What does (real) remorse look like? Who in history has ever shown such remorse? To be clear, some will say that anyone who gets caught in wrongdoing is sorry not because of what he or she did, but because he or she got caught. I wonder if it is possible for someone to be sorry for getting caught, but simultaneously be sorry for doing something stupid? I remember, as a child, being sorry for being caught for doing things, but also being genuinely sorry for having done something that wrought me such trouble in my house and in my very small life, at that point. I remember thinking that if I hadn’t been so stupid I wouldn’t be suffering as I was. I was truly remorseful, for BOTH reasons! Isn’t that valid? I mean, can’t remorse be because you DID get caught AND because you are sorry you made a wrong decision? Be that as it may, what does remorse LOOK LIKE? What would Lance Armstrong have to do to convince those who are interested that he is sorry? Yes, he’s sorry because he lost $75 million in one day, the result of an endorser abandoning him …but can’t he also be genuinely sorry because the risks he took, the deceit he engaged in, the people he hurt …have all resulted in his life being upended? Is remorse only real if one is only sorry for the pain he or she caused? Can’t remorse for how one has messed up his or her life also be a real factor to consider? But I digress. What does it look like? I looked at Armstrong’s face as he talked with Oprah. He wasn’t happy. I was glad he didn’t shed a tear because I knew people would jump on the tears as being phony and manipulative. He wasn’t happy. He was, yes, a tad arrogant, but I think arrogance must be part of his personality. Personality doesn’t leave when or because someone has done wrong. His arrogance and tenacity is probably the same as it was when he faced and challenged testicular cancer. Where I ached for him was where he betrayed and hurt people who loved him. Only he knows the remorse he feels about that. It sometimes takes years for humans to rectify their feelings over having hurt someone who was important to them. Many times, we don’t get over it; it follows us and stays with us until our dying day and is often too painful to talk about. If he is human, and I believe he is, he aches for that pain he caused others. But for his stupidity, his bad choices, his deceit, his bullying, I would bet he is remorseful, both because he ruined his life and because it was wrong. He was so intent on winning that he couldn’t see that it was wrong when he was doing it – that, or he knew it was wrong and didn’t care because winning was all that mattered. That’s a value that our society pushes. One must win…no matter what. So, I am hoping someone will help me understand what remorse looks like. I really would like to know. I am confused…and I would bet others are, too. Once again you have inspired me! Thanks! I don’t think America has the right to judge what his remorse looked like, because honestly, only Lance can know. Some people may cry, come people may have an internal battle, but people shouldn’t judge just because his reactions weren’t to their standards. Previous Post Gun Control an Issue Only if You’re the Right Color?